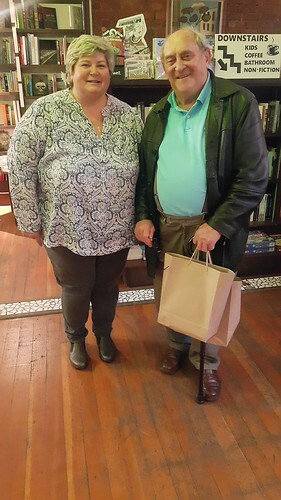 The Book Lounge recently played host to Sharlene Swartz and many guests at the Launch of Another Country: Everyday Social Restitution. In conversation with struggle stalwart Denis Goldberg, an impassioned Swartz relayed her experiences as a white woman living in South Africa in relation to the other races in the country. After Swartz’s brief introduction and summary of the book, she invited Goldberg to comment on the current social situation within the Country. The founder of the organisation, Community HEART reminded the audience that, “the apartheid regime killed between ten and twelve thousand people, yet people still talk about a bloodless revolution.” He argued that “this is one of the causes of anger today – saying black blood doesn’t matter”. Best Red and The Book Lounge cordially invite you to the launch of Another Country: Everyday Social Restitution, the new book by Sharlene Swartz. The event will take place in Cape Town on Wednesday, 23 November. A book Black and White South Africans must read together. Swartz has answered Steve Biko’s call for a new consciousness among Whites and Blacks alike. Read this and let’s have a conversation, our future depends on it. A major achievement! What a breath of sorely needed fresh air – a timely call to everyday, no-strings-attached restitution, guided by sustained, humble conversations with those dishonoured by apartheid. When last did we hear anybody talk about a just society, a better life for everybody, suggesting that enough was a feast? One of the most insightful suggestions is that inheritance should be more widely shared. 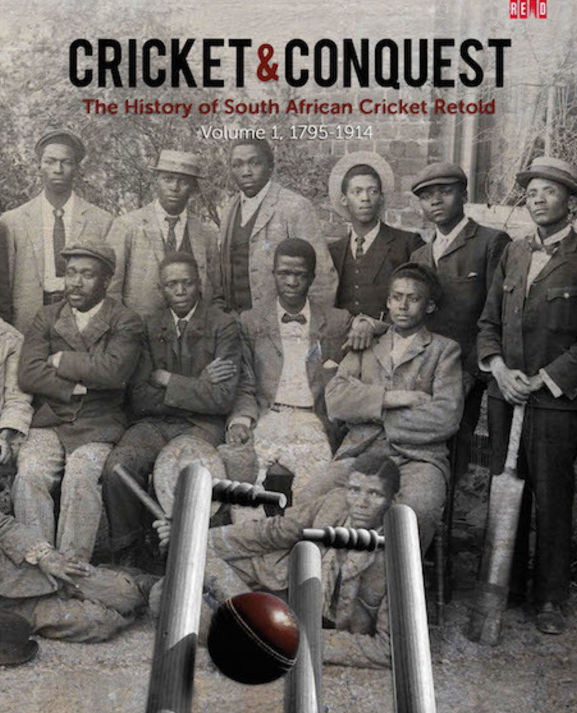 HSRC Press and BestRed invite you to the launch of Cricket and Conquest: The History of South African Cricket Retold, Volume 1: 1795-1914. 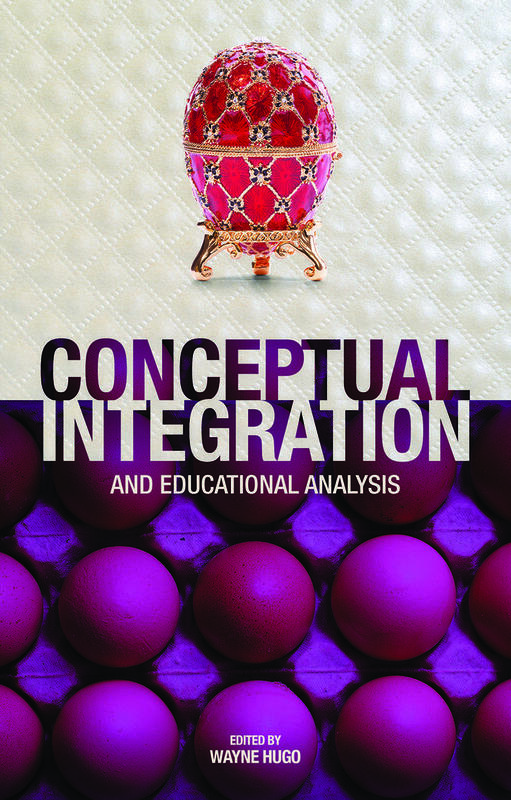 The book is authored by Andre Odendaal, Krish Reddy, Christopher Merrett and Jonty Winch. The event takes place on Thursday, 10 November at Newlands Cricket Ground. At the recent launch of State of the Nation 2016: Who is in Charge? Mandates, Accountability and Contestations in South Africa, published HSRC Press, one could not help but feel an immense sense of awe. 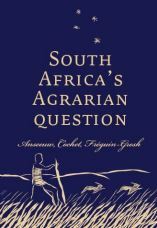 HSRC Press CEO Professor Crain Soudien and Professor Muxe Nkondo, one of the editors of the book, were in conversation. This is the eighth edition of The State of the Nation, coming at a time when South Africans are asking who is really running the country. The editors, Daniel Plaatjies, Muxe Nkondo, Margaret Chitiga-Mabugu, Thenjiwe Meyiwa, Charles Hongoro, and Francis Nyamnjoh, address issues surrounding authority, capability and accountability. Nkondo ended off by responding to questions of accountability, arguing that, “social cohesion, justice, prosperity” are all things we strive for in a democracy without considering that “we want to achieve utopian outcomes that can [only] be progressively realised, never obtaining their full course”. 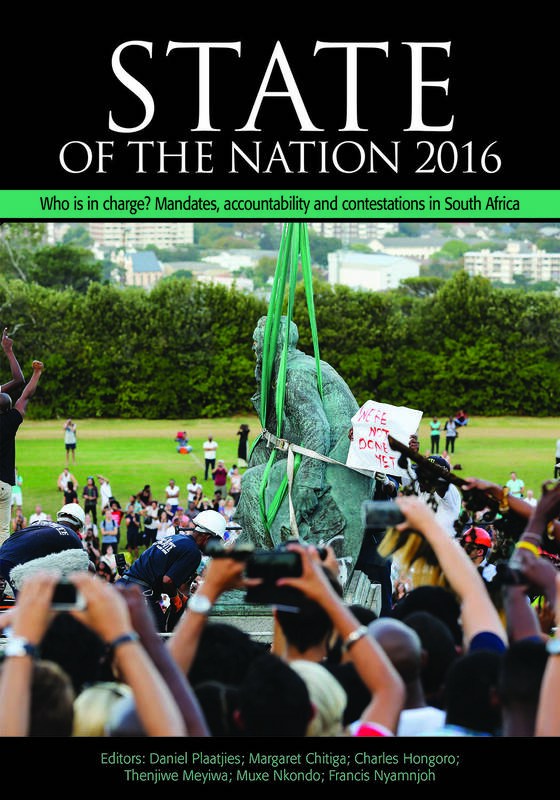 HSRC Press is proud to invite you to the launch of its flagship title release, State of the Nation 2016: Who is in Charge? Mandates, Accountability and Contestations in South Africa. 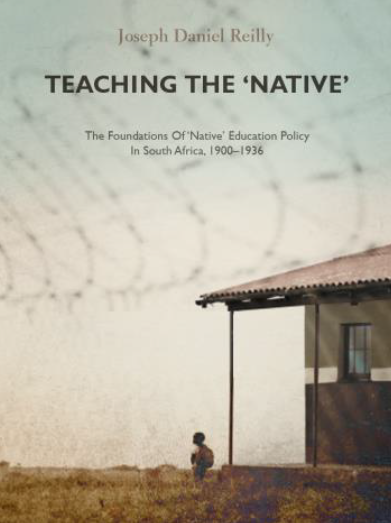 The publication is edited by Daniel Plaatjies, Charles Hongoro, Margaret Chitiga-Mabugu, Thenjiwe Meyiwa, Muxe Nkondo and Francis Nyamnjoh. The event will be held on 14 June in Cape Town. It’s almost time for the 2016 State of the Nation Address (SONA). The State of the Nation Address, at the annual opening of Parliament, is an address to the nation by the President of the Republic of South Africa. The President addresses a joint sitting of the two houses of Parliament, the National Assembly (NA) and the National Council of Provinces (NCOP). It focuses on the current political and socio-economic state of the nation. Last year’s SONA created quite a hype, and led us into quite an eventful year. Be be sure to tune in on Thursday, 11 February, at 7 PM to hear what the President has to say this year and keep up with the conversation. According to the parliamentary programme, the annual debate on the President’s SONA will take place from 16 – 17 February, with his reply to be heard on 18 February, so mark those dates on your calendar too! “No Other Country: The Gospel According to Chris Hani” is an exhibition curated by Gabi Ngcobo and hosted by GoetheonMain. The exhibition launch is on Thursday, 3 September, at 6:30 PM at GoetheonMain. There will be a lecture on the exhibition in collaboration with Athi Mongezeleli Joja and Sinethemba Twalo, third year students from the Wits Fine Arts Department. This project, curated by Gabi Ngcobo, combines responses by students and ‘guests’ to an unreleased interview of Chris Hani by German photographer Reiner Leist. The interview was recorded in the early nineties, shortly before Hani’s assassination in 1993. 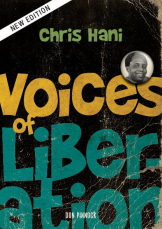 No Other Country: The Gospel According to Chris Hani will explore this document, generating responses to the material and imagining new questions, situating this historical moment to our contemporary time. Adam Haupt, author of Static: Race and Representation in Post-Apartheid Music, Media and Film and professor of Film and Media Studies at UCT, will be presenting a public lecture at Rhodes University. The title of the seminar paper is “‘Non-Poor Only’: Culture Jamming and the Limits of Free Speech in South Africa”. Haupt will look at the Tokolos Stencils and the work of jam artist Michael Elion, and examine the implications of this for public space in South Africa. The event is hosted by Unit for the Humanities at Rhodes University, and will take place at 5 PM on Tuesday, 25 August (this evening), at the Faculty of Humanities. The meeting will be held on Wednesday, 12 August, at the TB Barry Lecture Theatre in the Planetarium in Gardens, Cape Town, from 5:30 to 7 PM. Shamillah Wilson, a consultant at the CCR, will chair, while Thoko Mkhwanazi-Xaluva, chair of the Commission for the Promotion and Protection of the Rights of Cultural, Religious and Linguistic Communities (CRL Rights Commission) and Nomboniso Gasa, researcher, political analyst and author of Women in South African History: Basus’iimbokodo, Bawel’imilambo, They Remove Boulders and Cross Rivers, will address the meeting. Despite legislation for gender equality and women’s political participation in South Africa, and although many South Africans express egalitarian attitudes towards gender, rates of sexual and gender-based violence in South Africa are among the highest in the world. 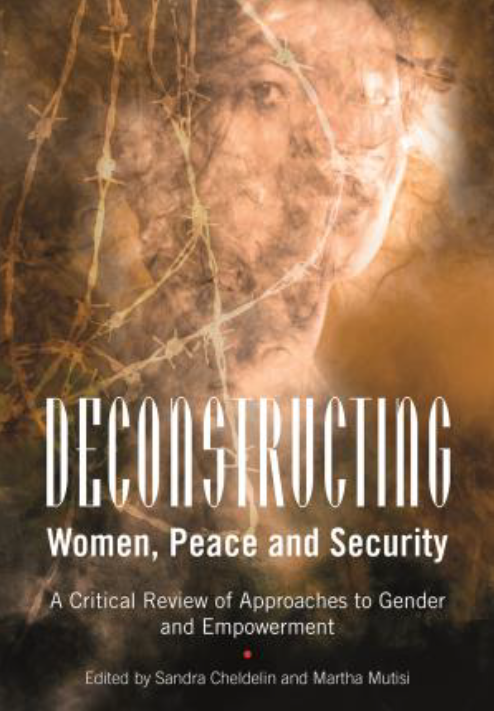 “Cultural” views of women continue to play a role in their continued disadvantages. Speakers will cover the South African Constitution and cultural rights, claiming back culture and its role in the promotion and protection of the rights of women and girls, and how culture has sometimes been manipulated in the abuse of women. This public dialogue seeks to foster open discussion on these challenges and potential opportunities for the promotion of gender equality in South Africa. University of the Witwatersrand Vice-Chancellor Professor Adam Habib and the Wits Journalism Department would like to invite you to the 14th annual Ruth First Memorial Lecture. Ruth First – whose life is chronicled in Voices of Liberation: Ruth First by Don Pinnock – was a journalist, activist and intellectual killed in exile by the apartheid government. To commemorate her contribution to critical, socially-engaged writing and research, Wits Journalism in partnership with the Wits Ruth First Committee and the African Studies Journal, hosts an annual memorial lecture and fellowship. The event is held around the anniversary of her death on August 17, 1982. This year the theme is “Race: Lived Experiences and Contemporary Conversations”. Panashe Chigumadzi will speak of her research into the term “coconuts” and Sisonke Msimang and Lebo Mashile will perform Msimang’s text based on her research into possibility of authentic interracial friendship. The event takes place on Monday, 17 August, at the Great Hall, East Campus and starts at 6 for 6:30 PM. RSVPs are essential. The evening includes a conversation between the Fellows of the Ruth First Memorial Event and will be facilitated by The Ruth First Committee member Eusebius McKaiser.